Putting aside the politics of the Climate Change, renewable power will soon become the cheapest energy source in the world. Market forces are now, more than ever before, driving clean and renewable energy towards a competitive and cost-effective reality. 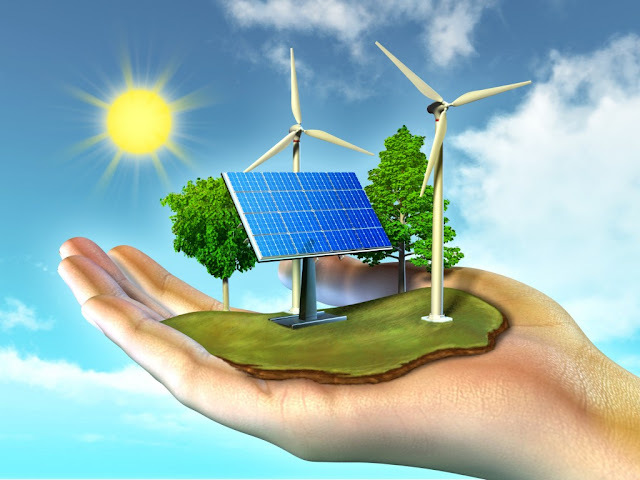 It is estimated that by 2020, low-cost renewable energy would be the cheapest source for generating power. Due to improved efficiency and latest technologies making it possible to increase manufacturing capacities at reduced costs, solar power and wind power are gradually taking over the global energy market. This rise in renewable energy sources is set to have a significant impact on the utilities, offering investors and consumers alike some unique opportunities. So how did we get here? In the first place, manufacturers of solar panel spent several years to improve and increase production, discovering more efficient and cheaper ways to produce panels in the process. This resulted in a ramped up production that drove down prices by as much as 30% in 2016. A further 20% drop in prices is expected this year, according to a report by Morgan Stanley. Since panels account for about 40% of the cost of utilities when building large–scale solar energy plants, this fall in price implies more affordable solar development. In wind production, however, the fall in price will depend mainly on physics. Engineers are steadily increasing the height of the wind turbine towers and manufacturers are increasing the length of the wind turbine blades; these combined factors have resulted in significant changes to power generation and efficiency, eventually leading to a drop in the cost of wind energy. This massive shift in the direction of renewables will have drastic effects on the profits and performance of the global power sector. Utility firms with deregulated power plants which compete to be able to sell power will generally have an advantage if they become top players in the renewable energy industry. India’s energy industry will be impacted the most. This is because solar power is increasingly becoming cheaper and more accessible than coal here. While this is a piece of good news in terms of cutting down carbon emissions, India been the third largest source of carbon emission in the world, this could disrupt the coal power generators in India. According to Girish Achhipalia who is in charge of Indian utilities, renewable energy has attained grid parity, and the first stage of disruption in the market is ongoing. In the United States, low-cost renewable energy will significantly change the carbon constitution of several utilities. This would help the US exceed its initial targets of reducing greenhouse gas emissions under the Paris Climate Accord agreement, according to Zlotnicka. On the foreign scene, countries like Mexico, which is currently enjoying the benefits of solar power technology, would benefit from the shift to renewable energy. The effect of clean power economics will be lesser on European economies as most of them have already made the transition to renewable energy earlier on. It may be too premature to call this a win for our planet Earth, but the benefits of renewable energy are all inclusive – from the consumers of all stripes, forward-thinking utility companies and smart shareholders – all stand to gain from joining the renewable energy revolution. Low-cost renewable energy would lead to reduced consumer energy bills, which would translate to increased spending and economic growth and subsequently result in increased investment in renewables. Also, with industries focusing on substituting carbon fuels with clean energy, their regulatory environment would also improve, which translates to a reduced risk in their operating environment, which is favourable to bottom-line results, leading to increased investments in projects that would modernise the power sector, so says Zlotnick. On the other hand, industries that fail to tap into the affordability of these renewable energy options but rather choose to stick with fossil fuels would inevitably experience a drop in their profit margins. This is the current trend and is visibly evident in several countries such as the U.S and large parts of the Europen Union. It is now spreading to China, South America and India. In most cases, the resultant effect is more severe than generally appreciated. As it is now, low-cost renewable energy options are the way to go. They are cheaper, more efficient and eco-friendly. Investment in renewable energy would boost economic growth, increase consumer spending and it offers a better and more sustainable option than the present energy options available.